Bad Photoshop Sunday presents: Are you assuming my omnipotence? Ah haah - I see what you did there. He's getting cockey after reading The Captain's Log, by W.S. 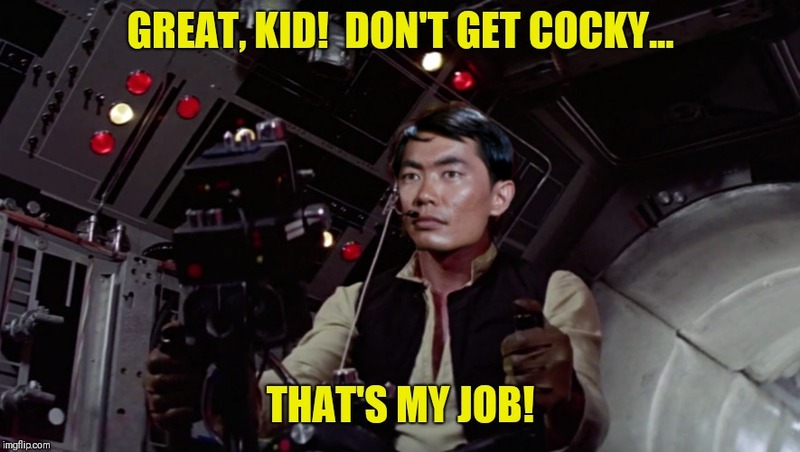 I've been trying to come up with a Sulu meme for weeks. I've got the perfect picture, but no text. So it just sits in the pile (of poo). No safe answer to that one. I'll have to take a fifth. That is fantastic!...I love making people laugh! Laughter is what we're after. He has a great sense of humor; I heard him on the radio a few times. 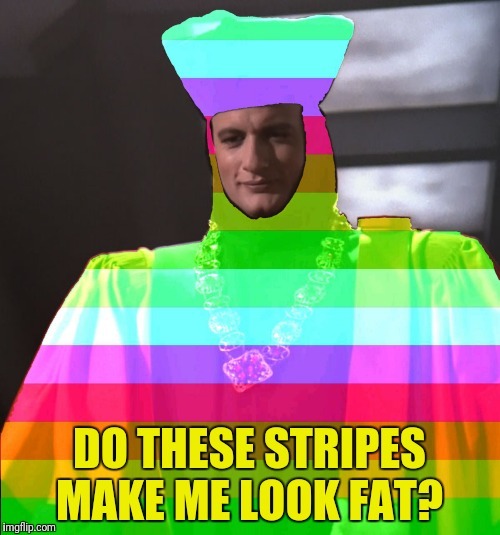 Btw,I submitted another Trek meme today. It will take some time to hit the streets, though. I just sent it in for processing. There's also a new hottie and a Far Side meme. Great stuff...now I understand why you have a Coke and a smile! Wow, that's a great picture. The colors... and the Betazoid, of course. Looks like it MIGHT be safe for work due to your judicious editing. Are you gonna let this one loose?